Lock in a great price for Infinity Hotel – rated 9.2 by recent guests! Great location convenient to many sites, restaurants and stores. Our favourite hotel in Rome! Excellent location and perfect service every year! Great location. 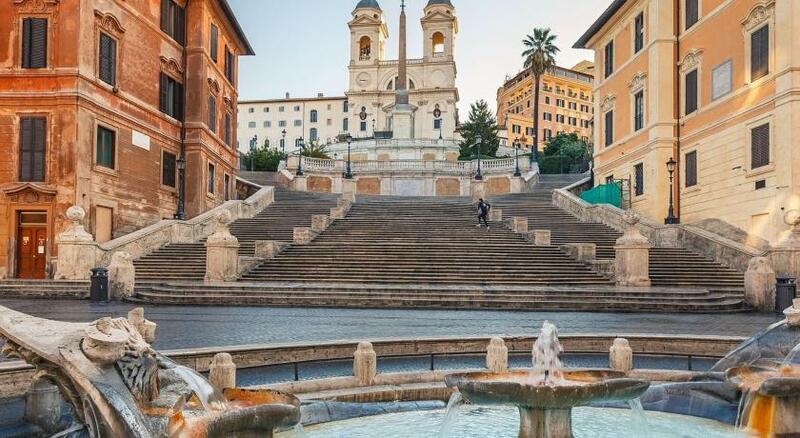 Very accessible to the Spanish Steps, Trevi Fountain and a short cab ride to the Vatican. Excellent location. Modern furniture and design. Good breakfast. 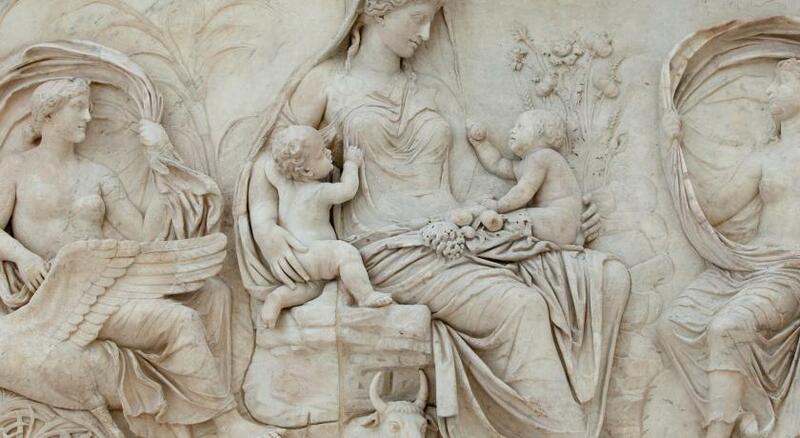 Just came from Rome and did stay at Infinity. Great hotel, very friendly stuff especially reception. Thank you Rossalina and Liliana. The rooms are nice and clean, location is perfect and close to everything. Breakfast was great. Next time in Rome will definitely stay there again. Great room with comfortable beds. Room was very clean, close to everything, good breakfast. This hotel has a very central location, it’s easy to walk to most of the popular sites. 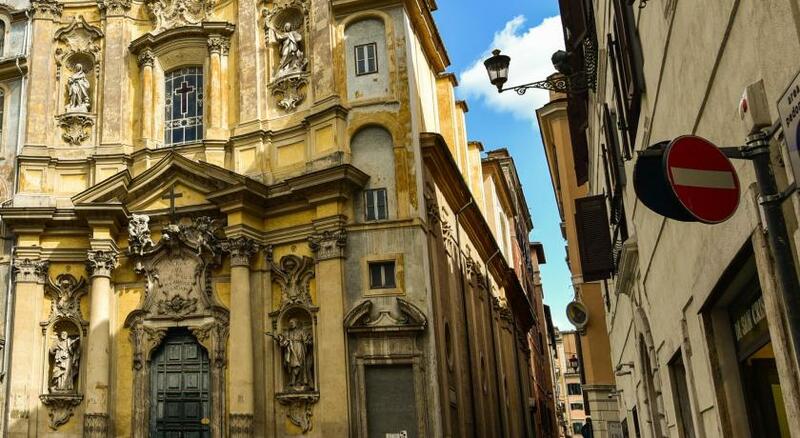 The Vatican is a bit further away but still walkable if you’re up for it. The hotel is very clean, our room was comfortable, and the staff was very friendly and helpful! Location allowed you to walk to must of the tourist attractions. Quiet during night hours. Safe area. Restaurants, shopping, transportation, convenience stores all located within walking distance. Beds are comfortable. Room temperature good. Bathroom with all the necessary features such as hair dryer. Staff always with an smile. Strongly recommend this hotel for those either traveling as couples or with small children. They can make arrangement to have a private car to pick up you at the airport. Cost is 50 euros. You pay directly the driver and can use your credit card. I used also the service to go to the cruise ship port. Liana was very helpful in orientating us to places to eat and best affordable transportation to take. 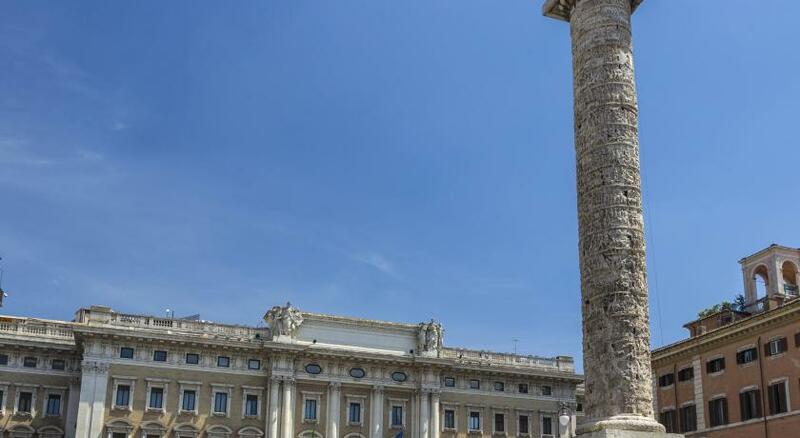 She is an asset for making you enjoy Rome better. This people has other six hotels in Rome so they know what they are doing and how to take care of guests. Infinity Hotel This rating is a reflection of how the property compares to the industry standard when it comes to price, facilities and services available. It's based on a self-evaluation by the property. Use this rating to help choose your stay! 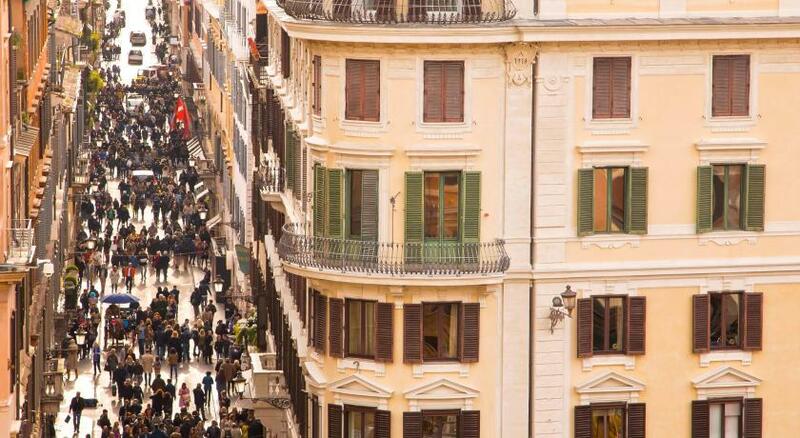 Located in Rome’s historic center, 1,650 feet from the Spanish Steps, Infinity Hotel offers free Wi-Fi throughout. An international breakfast is served daily. The air-conditioned rooms feature a flat-screen TV with satellite channels. Each has a private bathroom equipped with free toiletries and a hairdryer. Some also have city views. 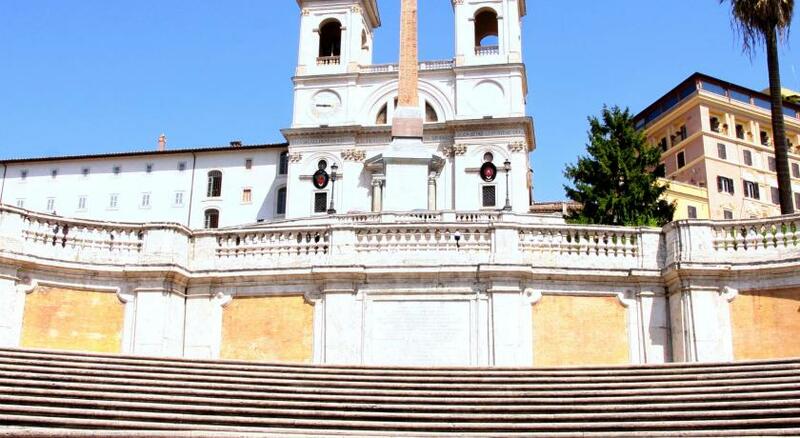 Villa Borghese Gardens are a 10-minute walk from Infinity Hotel. Rome Termini Train Station is 1.2 mi away. When would you like to stay at Infinity Hotel? This room comes equipped with a flat-screen TV with satellite channels. The private bathroom has free toiletries and a hairdryer. Wi-Fi is free. This twin/double room features a minibar and air conditioning. Wi-Fi is free. This triple room features a sofa and air conditioning. Wi-Fi is free. This suite has air conditioning, sofa and satellite TV. Wi-Fi is free. 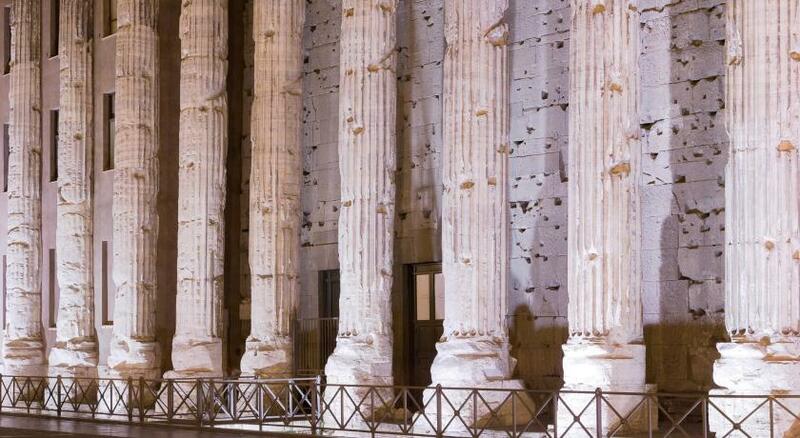 In the heart of beautiful Rome, in an ancient palace of the '500 was founded the Infinity Hotel Rome. It is special for its location, the elegance of its furnishings, the quality of sleep, the efficience of the staff that try to satisfy customers for everythings they needs ! House Rules Infinity Hotel takes special requests – add in the next step! ATM card Infinity Hotel accepts these cards and reserves the right to temporarily hold an amount prior to arrival. Infinity Hotel accepts these cards and reserves the right to temporarily hold an amount prior to arrival. Location, friendly staff!!!! Good breakfast! Great Location,helpful staff and very clean. When you enter the hotel there are stairs and only at the end of them there is an elevator, therefore if you come with big suitcases it is a bit uncomfortable. The staff is very nice and kind, helped us with everything we needed. Rooms are clean. The location of the hotel is great! There are restaurants close by, shopping and historical sites. The breakfast is pretty good. 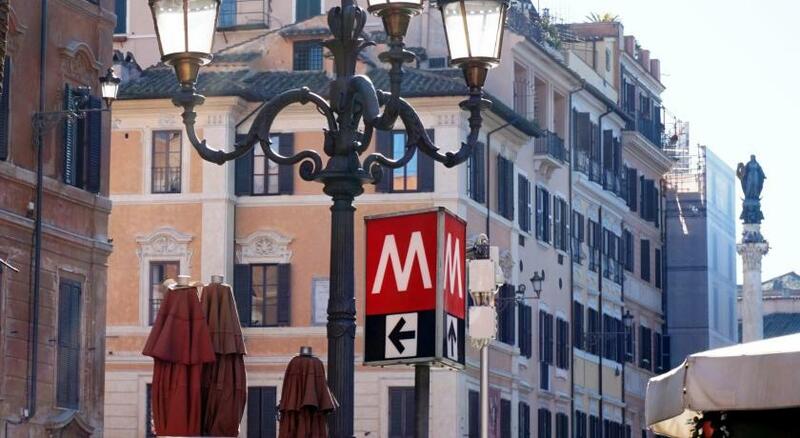 Locfation is perfect, within walking distance from major attractions in Rome. Nice comfortable and clean suite. Very kind and helpful staff! The hotel was really nice, clean and very central, only about 5 minutes walk from the Spanish Steps! The staff where very friendly and helpful. I enquired before my stay about a airport transfer and they arranged it for me, it was very reasonable priced too which I was surprised at. The hotel was worth the money. I will most definitely be returning. Clean. Everything I needed and much more. Excellent breakfast with good selection and quality. We found the street ms very dirty and the toilets. Hotel fantastic, all the trips we booked were also brilliant. Fantastic location and lovely hotel for a short break. Great location, great staff, spotlessly clean, great value for money and they could not do enough for us. Will definitely recommend! Great location. Lovely staff. Good value for money. Superb location and spotless clean!